Theatergoers can look forward to a month full of sensational programming at Aurora Theatre as it kicks-off 2019. Guests of all ages are invited to celebrate fresh beginnings during Teatro Aurora’s Reyes Y Mariachis or let imaginations run wild during Aurora Children’s Playhouse. Aspiring young actors can learn the ins and outs of performing arts when attending winter classes at Aurora Theatre Academy, while adults will laugh the evening away with Aurora Comedy Nights. The laughs continue with A Doll’s House, Part 2, a smash Broadway hit for the whole family, opening January 10. Saturday, January 6 at 6 p.m. Welcome in the New Year with live music by Mariachi Jaliciense, scrumptious slices of Rosca de Reyes cake and the chance to win two tickets to an upcoming Teatro Aurora event! For tickets and more information, visit bit.ly/ReyesYMariachis. Audiences can expect evenings full of endless laughs during select weekends in January with Aurora Comedy Nights! Host Katie Causey and the most entertaining comedians around are back and better than ever! In addition to endless laughs, guests can also enjoy a cash bar (without the standard two drink minimum!). For more information, visit bit.ly/ComedyNights2019. Los Angeles-based comic Liz Russo is bringing her candidly personal comedy to Lawrenceville! Liz brings side-splitting humor to every set—covering topics like being a plus-sized model, being unmarried and childless at 40 and much more. 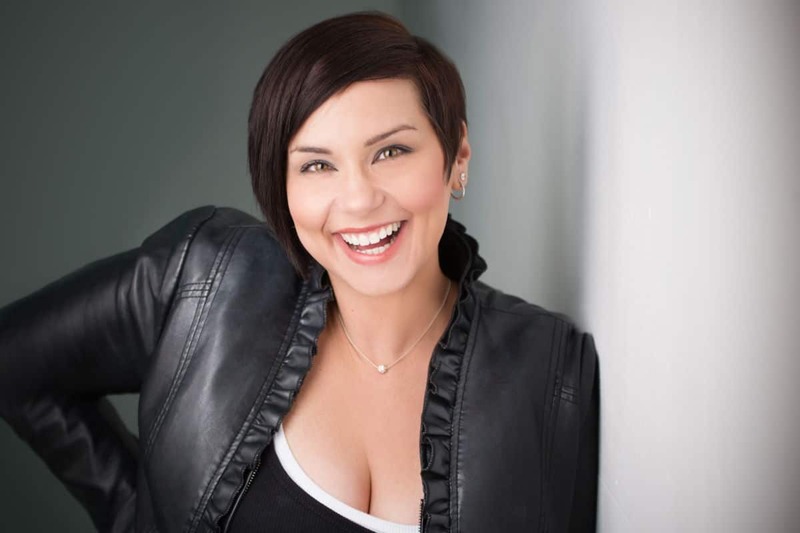 Having shared the stage with renowned comedians such as like Dave Chappelle, Gilbert Gottfried, Lisa Lampanelli and many more, Liz has truly made a name for herself in the world of funny. Audiences are in store for a night of knee-slapping, off-the-cuff comedy when award-winning improv group Dad’s Garage returns to the Aurora stage. The group’s fast-paced comedy scenes and games stemmed from audience suggestions work harmoniously to create an entertaining evening filled with non-stop laughter. Gwinnett County’s only professional theater is the premier destination for practicing and studying arts. Open to students of all ages, the program is instructed by some of the area’s most distinguished professionals. Aurora Theatre Academy provides a superb opportunity for young thespians to learn the basics of acting and to tap into their creativity. As a non-profit with a deep commitment to educational outreach, the theater is able to offer reasonably priced classes at $200 for a six- to eight-week session beginning in January. For more information and registration, visit bit.ly/ATAWinterClasses2019. Aurora Theatre brings the best children’s performers in the region to Gwinnett County, including puppeteers, magicians, storytellers, jugglers and musicians, as a part of this series intended for youngsters to have their first theatrical experience. These lively performances run around 45 minutes and are designed perfectly to suit little ones’ attention spans. Playhouse tickets are $7; punch cards are available for $50 and good for 10 admissions to any Children’s Playhouse show with no expiration date. Based on the Netflix animated series, Beat Bugs: A Musical Adventure follows five pals who explore the world and learn lessons with a little help from their friends. Abuzz with iconic songs by John Lennon and Paul McCartney, the show is perfect for families with young children! For more information and tickets, please visit bit.ly/BeatBugsAurora. Families are invited to watch favorite princesses share stories of friendship, bravery and love as well as sing along to some fan-favorite songs! While following along with each of their journeys, kiddos can understand how the princesses overcame their struggles to become the great leaders they are now! For more information and tickets, please visit bit.ly/LeadLikeAPrincess. Kids can follow Mr. Damon’s puppets as they head out into the world on incredible adventures in search of mystical beings and magical creatures. Members of the audience are encouraged to become part of the show which features original live music! For more information and tickets, please visit bit.ly/OldRussia. The Aurora Theatre is located in Lawrenceville.